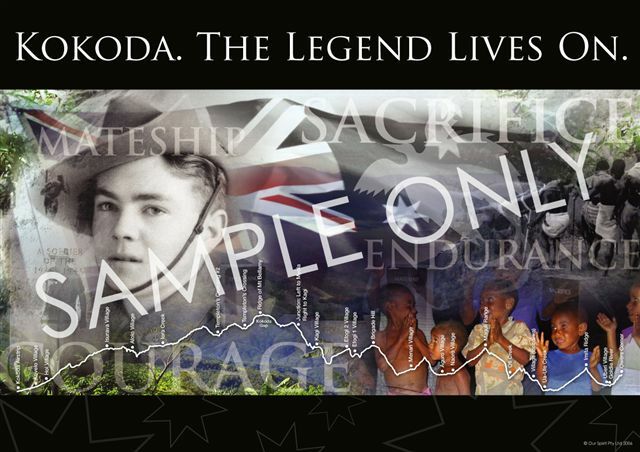 This beautiful piece of artwork brings to life the true essence of what the Kokoda experience is really about. Tracing the journey that our brave diggers took. And mapping out the track where you and your team also shared an incredible voyage of self discovery. This artwork talks of the endurance the passion and the spirit of our diggers that you felt first hand. Not to mention the beautiful smiling faces of the PNG children. The team at Our Spirit has created the ultimate memento to capture your experience with us on the Kokoda Track. Keep this as a powerful reminder of your great achievement to steer you forward into the future in your home, boardroom or gift it as a Christmas present to a person, school or organisation you would like to share Australia’s GREAT history with. This artwork views every facet of what this track means to Australia and why we are here today.